This free-standing glass crescent has a 3/8" bevel all around. 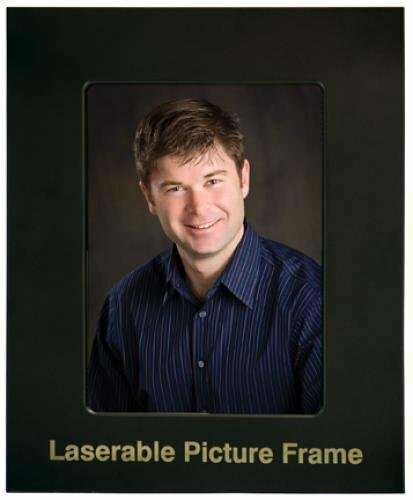 A horizontal gold slide in frame holds a 4x6 photo and still leaves ample room for personalization. This crescent design is a great way to commemorate milestones and recognize achievement. This striking smooth silver finish metal picture frame is elegant in it's simplicity. The wide border provides plenty of room to personalize, and the easel back allows for vertical or horizontal standing display. This beautiful frame is a great option for your award or gift needs. Maple picture frame with 1/2" thick glass front; holds 4" x 6" photo in portrait position. Individually boxed.